Hello! I am Allison! 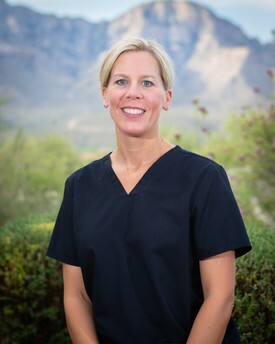 I am a proud Tucson Native and have worked with Dr. Haymore for fifteen years. Dr. Haymore has built an incredible dental practice that projects compassion, skill, and innovation. Every time I get to come to work and care for my patients, I feel like I hit the jackpot! I am happily married for over twenty years to the love of my life, Michael. We have been blessed with a son (Michael) and a daughter (Anntonette). I enjoy serving in my church, and I do my best to follow the golden rule. Reading a great book, spoiling my dogs, cooking, four wheeling, and making people laugh and smile are some of my favorite things to do! Hello! My name is Kendall! I have been a hygienist for over thirteen years and worked here at Innovation Dental since the very beginning. I graduated from Northern Arizona University and grew up in the Avocado Capital of the world! My favorite activities include spending time with my family and being outdoors! 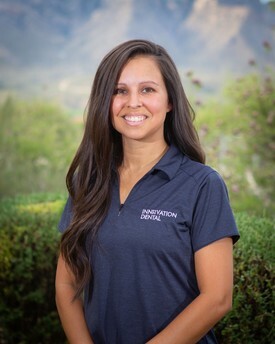 Danielle has been with Innovation Dental since 2010. 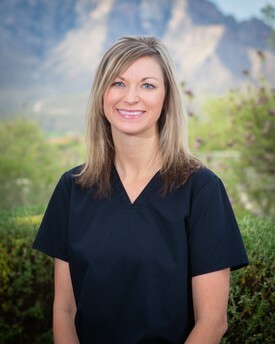 Starting out as a dental assistant to Dr. Haymore, and is now one of our five amazing dental hygienists. Danielle is a University of Arizona alumni and an avid U of A football and basketball fan. GO CATS! We have been able to have Rebecca with our Innovation Dental family since 2010. She has been a hygienist for over eleven years and graduated from Grand Rapids Community College in Michigan where she was born and raised. Rebecca loves spending time with her son, traveling, hiking, and socializing with her friends. We are thrilled she made the decision to leave the snow country for our Arizona sunshine! 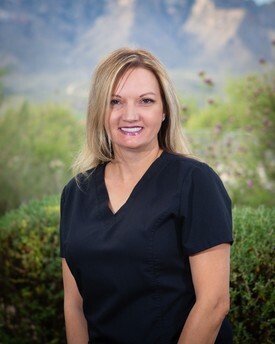 Gail has been a Dental Assistant for over 22 years and has been with Innovation Dental and Dr. Haymore since August 2015. Gail graduated from the White Mountain School of Dental Assisting and is married with 3 children and 3 grandchildren! She enjoys cooking, hiking, and spending time with her family. Gail also volunteers with the non-profit AWANA, and has been doing so for the last 15 years. 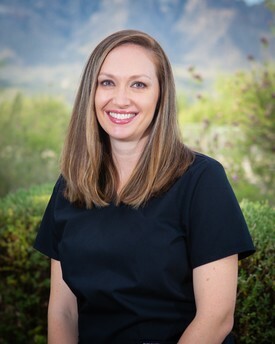 Crystal has been a dental assistant for over 8 years and joined Innovation Dental and Dr. Palmer in September 2015. 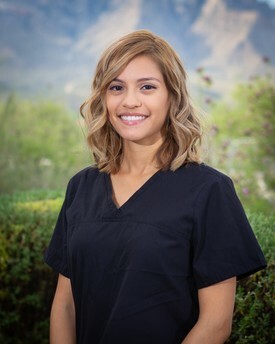 Crystal graduated from Pima Medical Institute and was born and raised here in Arizona. She enjoys watching and playing basketball and football, and traveling abroad with her fiancée! 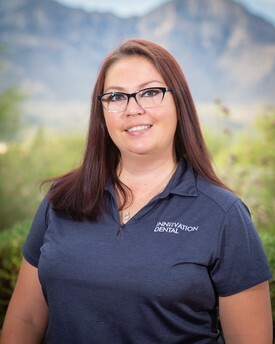 Angela is our Billing/Claims expert for Innovation Dental. She has been in the front office of dentistry for over 26 years. Angie is a Tucson native who loves to golf and play tennis. When she's not working, she is devoted to her family and her dog, Lucy, whom she loves spending time with. If you have an account question or insurance hiccup, Angie surely knows how to fix it! Elena is new to Innovation Dental and is the Treatment Coordinator. Elena is a University of Arizona Public Health alumni and loves the community and diversity of Tucson. 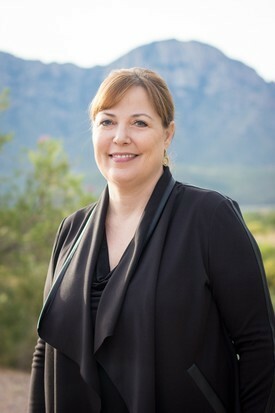 She enjoys soccer, hiking, swimming, and exploring Tucson with her husband and five children. 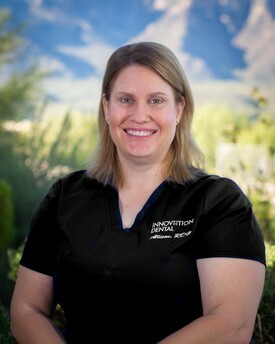 Jennifer is one of our Treatment Coordinators here at Innovation Dental. Jen started with us in March 2015 and is a valuable asset to the practice. She is a University of Arizona alumni and enjoys camping, gardening, and learning homesteading skills with her husband and daughter. 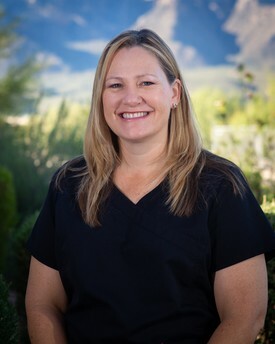 My name is Nicole and I have been a dental hygienist in the northwest community for over nine years. I was very excited when a position came available at Innovation Dental as it was the kind of practice I was seeking due to their great reputation for patient care, the best dentists, and their caring team. I could not be happier here at Innovation Dental! I have been married to Eric, my high school sweetheart, for twenty-three years. We have three amazing kids: Hunter (21), Tystan (17), and Kamiryn (12). In my free time, I enjoy watching our kids play sports or just enjoying the beautiful outdoors of Tucson!